Of all the kitchen appliances I’ve collected over the years, there’s nothing I love more than my air fryer. 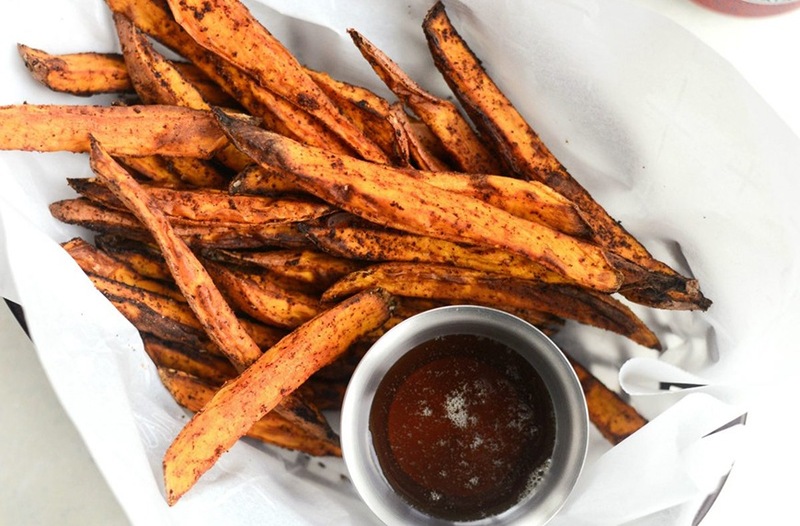 Sure, my juicer can provide me with a tall glass of green juice—but can it create sweet potato fries in 15 minutes and give my tofu a seriously crispy upgrade? I don’t think so. 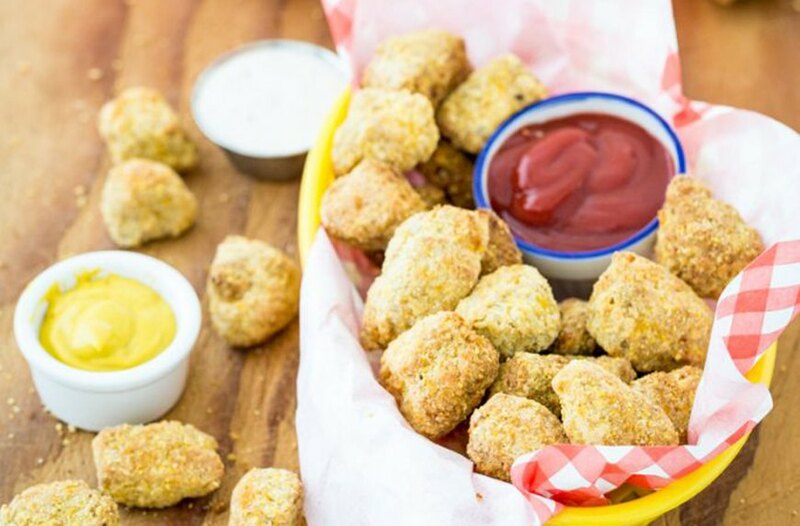 If you’re also a sucker for all things fried, using an air fryer lets you create the same beloved texture without all that oil, which can wreak havoc on both your digestive system and sleep schedule. Instead of submerging your food in those bubbles, air fryers circulate hot air in the enclosed space to get the same effect. Itching to put the new gadget you unwrapped this holiday season to use but not sure what to make? These recipes are a great place to start. 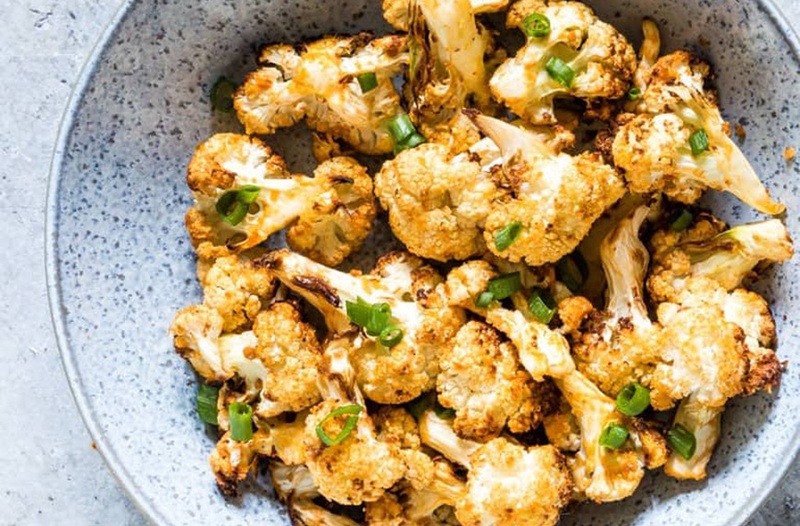 Put your air fryer to work with these 6 healthy recipes. 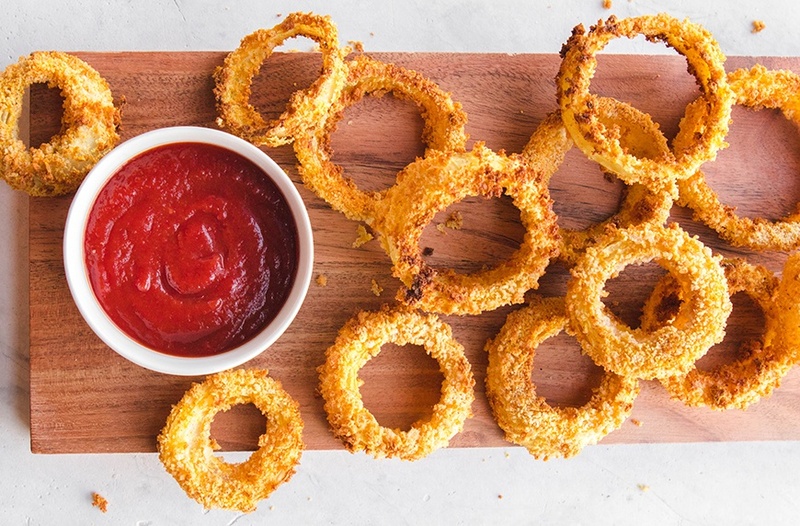 Neither eggs nor oil are needed to make these melt-in-your-mouth onion rings. Using your flour of choice, some plant-based milk, bread crumbs, and seasoning, they’ll be ready to devour in just eight minutes. Both vegan and gluten-free, this popcorn tofu tastes even better than the beloved chicken version (IMO, at least). And the secret to keeping the crispy crust in place? The magic of aquafaba. 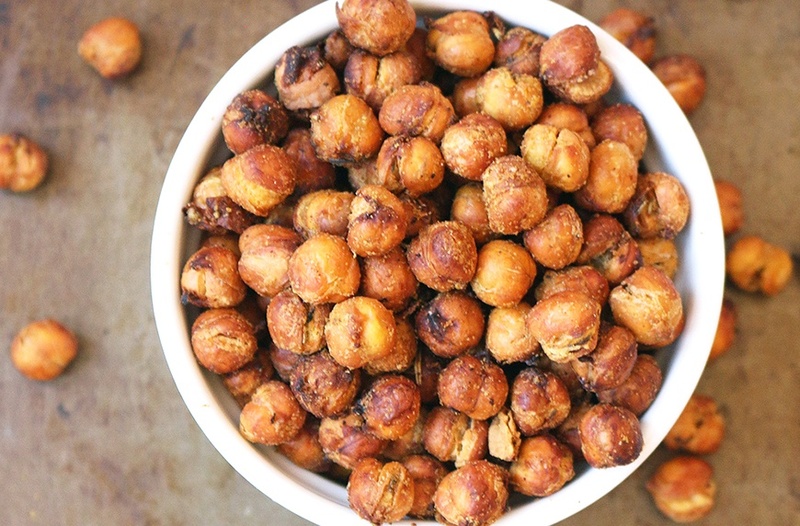 You can absolutely bake your chickpeas in the oven for a healthy, protein-packed snack, but when it comes to crispiness, you can’t beat using the air fryer—especially when they’re ready in only 15 minutes. Ready for some dessert? 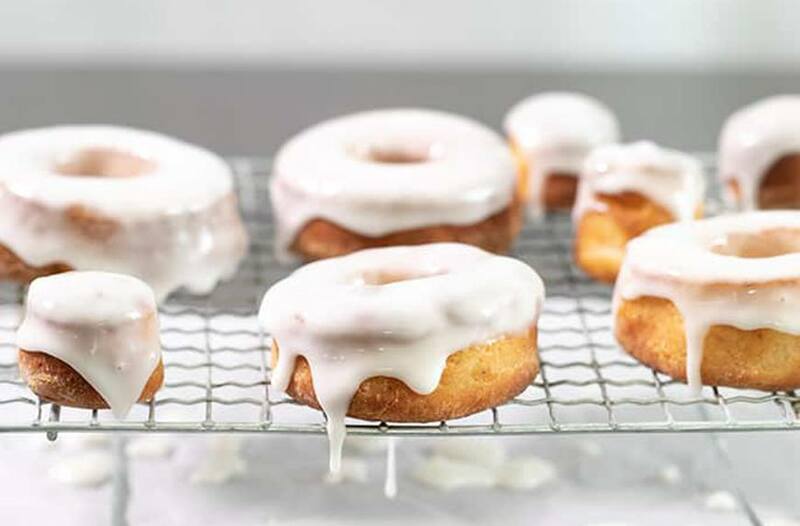 Brushed with avocado oil and put in the air fryer, it doesn’t take long for these gluten-free donuts to make you forget all about the oil-loaded options at the bakery around the corner. No air fryer recipe roundup is complete without some fries. This sweet potato version is seasoned with garlic, onion, and chipotle powder to give your taste buds the ultimate treat. These low-carb cauliflower wings—which are coated in almond flour, avocado oil, and hot sauce—are the perfect quickie appetizer to whip up when friends come over. Here are 7 healthified versions of your junk food faves. Or, check out some healthy snacks inspired by your favorite not-so-healthy foods.